The sample you provided played fine for me. Have you tried with the latest version of the app? If it still doesn't work, try refreshing the item in the web app. This video doesn't play in the new beta. 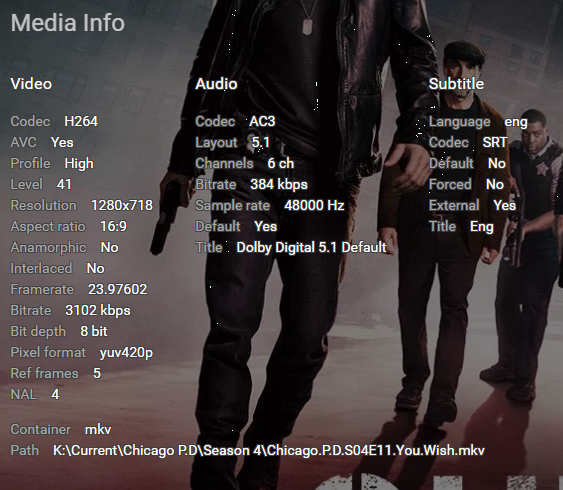 It does play in the Web Client, current Roku App, and the Blue Neon App. When I select this video and press either play or resume in the new beta, nothing happens. Other videos do play. Is an ffmpeg log created? The request doesn't appear to be sent to the server. Selecting either Resume or Play doesn't appear to do anything. Will check again but I suspect there is no log. What sound does the unit make when you click on it? Is it the "badink" that you get when you click on something that works or the "boink" that you get when you do something that does nothing? Can you provide the sample file? When selecting the button, it plays the normal select sound. It doesn't do anything after that. Will upload the video to OneDrive and send you a private link. What's the process for upgrading to the latest version of the app? Log into my.roku.com and install the private channel on top of the already installed one, then reboot the Roku? Just do a system check for updates. Ran the system update to make sure the app was at the latest version and the video does play now. Thanks for confirming. I think you were stuck on a really old version somehow.